The Smart STViQ is a slim line power protector and power filter that can fit behind space challenged wall sites such as a television mounted on the wall. It’s design replaces the existing power cord (TV, projector, computer, tablet, Point of Sale Machine etc) and comes in a 2 or 3 pin configuration. 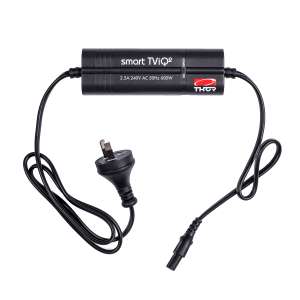 The STViQ uses a patented technology that revolutionizes power protection. As standard power board may survive 1 or 2 exposures to 6,600V. 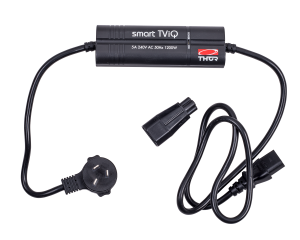 The STViQ can survive more than 100 strikes at 6,600V within 1 hour and maintain no signs of stress or damage.